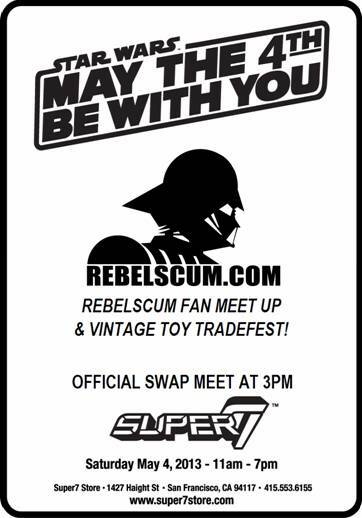 MAY THE FOURTH – REBELSCUM FAN MEET UP & VINTAGE TRADE FEST! Collectors can bring their STAR WARS toys & collectibles to swap with one another. Meet your fellow fans from online and trade some toys! MAY THE FOURTH – DST, EFX, & GENTLE GIANT on display!